The Prime Minister, . Peter O’Neill , has thanked People’s National Congress (PNC) supporters for their contribution over the past two decades. Speaking at the dinner held at the Stanley Hotel this week, PM O’Neill said the month of October marks 20 years of the People’s National Congress as a political party since its establishment in 1996. He said this is the second time that the party has been given the honour of leading the Government of the nation, and he is looking forward to people of Papua New Guinea having the chance to judge the performance of the Government next year. 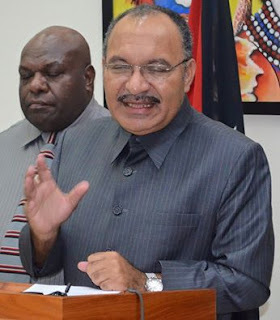 “We are going to the elections in 2017, and I know that our people in our country will judge us fairly in the things that we have been doing in the past five years,” PM O’Neill said. “It has not been easy, and of course it has been quite a challenging time for our country. PM O’Neill said over the last five years, the Government has held true to its core policy principles and they have delivered to the nation. “We have worked hard to deliver for our people, particularly in the areas of education, healthcare, infrastructure, law and order and making sure that our economy continues to grow. “PNC has laid the foundation for the continuous growth of our country,” PM O’Neill said. “There are some important investments that are going to come over the coming years, particularly in LNG resource development, some of our investments in agriculture and tourism, and they are yielding results. He said all the government’s achievements so far, would not have been possible without the support of businesses and all other stakeholders who are partners in economic development.